Briët, J, Buhrman, H, Laurent, M, Piovesan, T, & Scarpa, G. (2013). 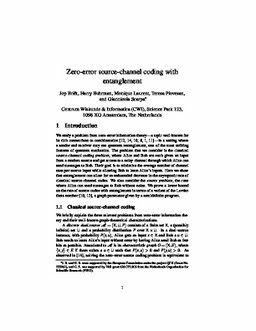 Zero-error source-channel coding with entanglement. In J Nešetřil & M Pellegrini (Eds. ), The Seventh European Conference on Combinatorics, Graph Theory and Applications (pp. 157–162). Edizioni della Normale.